Natural Energy provides a wide range of renewable energy services designed to help you get the most out of your energy source — from installing a complete solar power system to optimizing your home’s energy efficiency. Natural Energy has a wide range of Photovoltaic solar panels! The Technology that converts light into electricity! We use nothing but the best! The Solar Advantage™ collectors use a proprietary blend of raw materials. An untraviolet-stablized polypropylene base is designed to resist the most severe climatic conditions. The unique design of the tube-on-fin absorber optimizes collector performance by attracting the sun’s energy from all angles. The collector has excellent molding memory, resisting the natural expansion and contraction caused by ambient temperature changes. Over thirty-two years of engineering and design experience is built into every solar hot water collector, component and system we manufacture. SunEarth products are marketed in the US. and abroad by leading wholesalers, dealers and professional installation contractors! Leasing saves you the big upfront costs of buying with cash. There’s little doubt that for most people the number one stumbling block to going solar has to plunk down tens of thousands of dollars up front to buy a system. 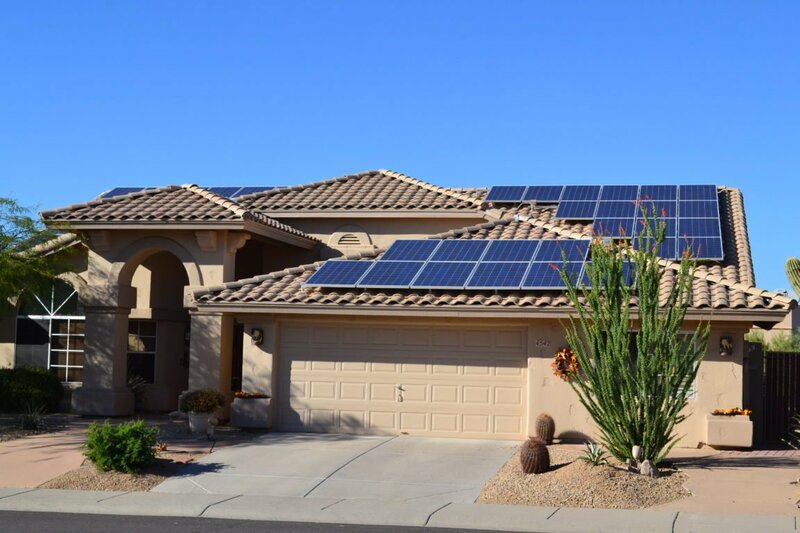 Though terms vary – in part based on your credit rating, the solar capacity of your home and/or on local, state and/or utility incentives in your area — in many cases, with solar leasing you can go solar with no money down. This is a huge plus for people who don’t have the cash sitting around to put down on a solar system or who don’t want to take out, or cannot take out, a loan to buy a system. (Thanks to the housing crash approximately 25% of American homeowners have no equity in their homes, meaning a home equity loan as a way to finance solar is not possible for this group). With leasing, you don’t have to pay to maintain the system. Typically, with a lease, you are not responsible for fixing the system if something goes wrong, breaks, or just wears out. In most cases, this includes replacement of the solar inverter, which will have to be replaced somewhere between 10 and 15 years after the system is installed to the tune of several thousand dollars. Not having to worry about the upkeep of the system provides peace of mind for many. Leasing can save you money over utility produced electricity. While leasing terms vary, if you have the right roof, meaning a sunny, south-facing, un-shaded roof that will produce lots of solar electricity and live in an area with good solar incentives, it’s likely you’ll save money by buying electricity from a solar leasing company as opposed to from your utility. Additionally, some leases allow you to lock in a static electricity rate for 25 years. Meanwhile, electric rates charged by your utility will continue to rise. Leasing gives you affordable access to electricity independence – without big upfront costs. This reason is similar to No. 1, but with a slight twist. With a solar system on your roof, you have the satisfaction of knowing you’re producing all, or some, of your electricity locally and, although you don’t own the panels, you’re still likely to feel more independent about how you produce your electricity than if you were drawing 100 percent of your electricity from your utility. Plus, if you add an electric car to the mix, you get the satisfaction of knowing you’re partially or perhaps fully, fueling not only your home with local solar generated electricity but your car as well. And thanks to leasing this all comes without having to plunk down tens of thousands of dollars on your solar system up front. Leasing allows you to go green – without the big upfront costs. Staring at tens of thousands of dollars in upfront costs is enough to discourage a lot of people from going solar – as the huge popularity of solar leases has shown. Upfront costs stand as a big stumbling block even for some of the greenest greenies who want to say goodbye to Dirty Coal and, if they plan on getting an EV, goodbye to Big Oil as well. Solar leasing allows you to be green while relieving the pressure of coming up with a mountain of upfront green capital in order to go green. Why should I buy vs lease? Buying is a better economic bet if you can use the Federal Solar Tax Credit. Solar leasing companies have to make money, and, even though you’re likely to save by paying leasing companies for your electricity as opposed to forking money over to your utility, leasing companies will still be making money. For instance, they pocket all solar incentives you’d otherwise get if you bought the system. If you buy, you pocket all of the incentives and all of the long-term electricity savings yourself. If you need to take out a loan to buy a system, you’ll want to calculate the cost of interest into the total savings picture, and, if you’re inclined to look closely at the total savings picture, you might also want to calculate how much taking out a loan for a solar system will cost you elsewhere – for instance, how it might affect the rate at which you can pay down other debt (mortgage, student loans, car loans, etc.). Buying is more satisfying. When you buy a solar system, it’s yours. All of the electricity you produce is yours and – if you have the right utility – all that you over-produce is yours as well. This can be a tremendously satisfying feeling. Especially if you’re going to use your home solar system to power 100 percent of your home electric use and tens of thousands of miles per year in an electric car or two. Buying offers you more flexibility and freedom. You have more freedom in terms of the size system you put on your home’s roof and where you put it when you buy than if you lease. Though if you are dealing with utility rebates, those rebates are typically contingent on all sorts of limits and rules about system efficiency and system capacity. It might be easier to sell your home with a solar system you’ve bought. Some have suggested that a solar lease could actually be a drag on the sale of a home, though we don’t necessarily agree with this claim. According to this view, potential buyers of your home will be turned off by having to sign on with a solar lease company. If this happens – which, to us, seems unlikely — you can potentially work with your solar leasing company to move the panels to a new home, buy out the lease, etc. When you buy solar, you make the money on the value solar adds to your home. We definitely wouldn’t recommend leasing or buying a solar system if you think you’re going to be moving within the next five to seven years (or less). But, if you do end up selling your home – ideally, after you’ve benefitted from several years with your PV system, the money you’ve invested in your solar system will repay itself in the price you’re able to ask and the extra money you make will land in your pocket. What is a PPA? Who benefits? A PPA is a way to “switch power companies” and pay less for the same power that you by from the utility company. The customer who will not benefit from the Federal Tax Credit is a ideal candidate for a PPA. PPA’s also typically allow for lower credit scores to qualify, without putting a loan on the customer’s credit. A Solar Power Purchase Agreement (PPA) is a financial arrangement in which a third-party developer owns, operates, and maintains the photovoltaic (PV) system, and a host customer agrees to site the system on its roof or elsewhere on its property and purchases the system’s electric output from the solar services provider for a predetermined period. This financial arrangement allows the host customer to receive stable, and sometimes lower cost electricity, while the solar services provider or another party acquires valuable financial benefits such as tax credits and income generated from the sale of electricity to the host customer. PPA’s are ideal for simple transactions, and can be approved in 5 minutes over the phone. With this business model, the host customer buys the power produced by the PV system rather than the PV system itself. In addition, PPA arrangements can be cash flow positive for the host customer from the day the system is commissioned. A host customer agrees to have solar panels installed on its property, typically its roof, and signs a long-term contract with the solar services provider to purchase the generated power. The host property can be either owned or leased (note that for leased properties, solar financing works best for customers that have a long-term lease). The purchase price of the generated electricity is typically at or slightly below the retail electric rate the host customer would pay its utility service provider. SPPA rates can be fixed, but they often contain an annual price escalator in the range of one to five percent to account for system efficiency decreases as the system ages and inflation-related costs increases for system operation, monitoring, maintenance, and anticipated increases in the price of grid-delivered electricity. An SPPA is a performance-based arrangement in which the host customer pays only for what the system produces. The term length of most SPPAs can range from six years (i.e., the time by which available tax benefits are fully realized) to as long as 25 years. Why am I Using Natural Energy to sign up with Sunnova? The Natural Energy functions as the project coordinator, arranging the financing, design, permitting, and construction of the system. The Natural Energy provider purchases the solar panels for the project from a PV manufacturer, who provides warranties for system equipment. Natural Energy will design the system, specify the appropriate system components, and may perform the follow-up maintenance over the life of the PV system. To install the system, Natural Energy uses our in-house team of installers. Once the PPA contract is signed, a typical installation can usually be completed in less than three months. The utility serving the host customer provides an interconnection from the PV system to the grid, and continues its electric service with the host customer to cover the periods during which the system is producing less than the site’s electric demand. 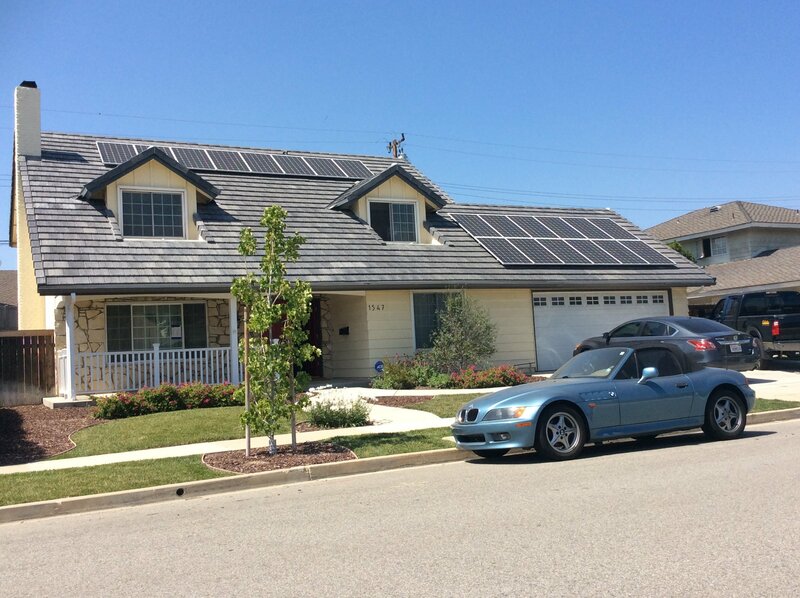 California for a limited time has net metering requirements in place that provide a method of crediting customers for the electricity that is produced by the solar system. Property assessed clean energy (PACE) is a means of financing energy efficiency upgrades or renewable energy installations for buildings. Examples of upgrades range from adding more attic insulation to installing rooftop solar panels. In areas with PACE legislation in place municipal governments offer a specific bond to investors and then turn around and loan the money to consumers and businesses to put towards an energy retrofit. The loans are repaid over the assigned term (typically 15 or 20 years) via an annual assessment on their property tax bill. PACE bonds can be issued by municipal financing districts or finance companies and the proceeds can be used to retrofit both commercial and residential properties. One of the most notable characteristics of PACE programs is that the loan is attached to the property rather than an individual. PACE can also be used to finance leases and power purchase agreements (PPAs). In this structure, the PACE property tax assessment is used to collect a lease payment of services fee. The primary benefit of this approach is that project costs may be lower due to the provider retaining the tax incentives and passing the benefit on to the property owner as a lower lease or services payment. PACE programs help home and business owners pay for the upfront costs of green initiatives, such as solar panels, which the property owner then pays back by increasing property taxes by a set rate over about 20 years. This allows property owners to begin saving on energy costs while they are paying for their solar panels. This usually means that property owners have net gains even with increased property tax.